Pyrroloquinoline Quinone supplement side effects are almost none, but there is more to it than meets the eye. If you are looking for the dangerous side effects of this product, chances are that you have not found any up until now, right? Is it that it doesn’t bring any or it’s just that most people don’t want to reveal the truth to you? 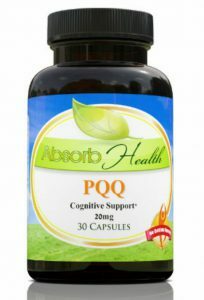 Well, I had a deep look into Pyrroloquinoline Quinone (PQQ) from Absorb Your Health seeking to find answers for that. And in this Pyrroloquinoline Quinone (PQQ) review I will be covering this side effects topic at large along with other features of the supplement. I hope this short review serves to be useful to help you make a well informed decision. If you have any other questions about it, feel free to leave them below and I’ll be on them as soon as I get them. Okay? While you may not find any negative side effects of Pyrroloquinoline Quinone of absorb health, I went ahead and looked into the experiences of people who have and are still using the same product from other brands in stores like Life Extension and Amazon, to name a few. And as fate would have it, most were positive feedback. But as I dug deeper, I saw a few people complaining about some side effects. Mild effects like jittery, stomach ache, stimulating the front lobe of the brain that was quite disturbing and feeling nothing after taking it. There was also one serious effect, heart palpitations. BUT before you dismiss it and say, “if this is what will happen, there’s no need of buying it.” I would like to show you why these people reported of these effects. Let’s look at these two, at great length. The people who rated it poorly seem to be coming from Life Extension. If you have been on other Life Extension products, you will agree with me that these guys have great products. I can confidently vouch for them. The problem is, this time with PQQ, they kind of messed up a little. They had Acetyl-L-carnitine in their formulation of older bottles but the recent ones they have been sending to people don’t have any of it. And with the benefits Acetyl-L-carnitine (alcar) comes with, you will surely see you’ll loose quite a lot if you bought it. Actually, they took alcar off and replaced it with Taurine, another great ingredient but is cheaper and of low value compared to what alcar does. As a previous customer said it, it would’ve been better if they added coq10 or maltodextrin (as absorb health did). Be aware which company you are buying from, and what they are including in the product moving forward, especially if you are on subscriptions. If you have been buying from Life Extension, I’d say you keep buying from them, but for this particular product, I’d recommend you buy from Absorb Your Health, they have the best formulation and have not gotten any problems thus far. If Life Extension and other companies don’t have Acetyl-L-carnitine, I’d say you don’t buy from them since you will miss out on many benefits. But if they bring alcar back to it, then it is okay to use them for your next bottle. This is something I’m quite serious with. I always advise folks to check with their doctors before buying into any supplement, especially if they know they have any health conditions or are on other medications at the time. See, most of the people who reported of stomach aches, heart palpitations, jittery and getting no results with it are those that didn’t talk to a doctor before using it and had other serious health conditions going on. If one of the users I saw had talked to a doctor before going for it, he could have known that PQQ would be terrible for him, as a diabetic. And that is what you too should do. This is what those people who you find rating this product well do, and they never regret since they have been assured it is going to work for them by a health specialist. And it turns out just as they were told, success! As you have seen, this product is great and does bring good results. And you will only get to enjoy these benefits if you are sure to be careful with the two factors I have talked about. Ideally, you only need to take care of one of them, doctor consultation. The second one, about the best company to buy it from has been handled. Absorbyourhealth is the best place to order your bottle. Stats show that it has been the best seller and no one had made any complaints about it thus far. Actually, this is a company I have grown to trust when it comes to nootropics. I have been on their products for a good while now and I have had no problems that far. They sell really high quality nootropics including adrafinil, aniracetam, oxiracetam, bacopa monierri and many more. Also, the good thing is, you can ge Absorb Health’s Pqq supplement from www.amazon.com. This means you don’t necessarily have to go the main website of Absorb Health. You can order the same exact bottle of this brand from Amazon. Although, you should know that it is a bit expensive than buying from the main site. I usually encourage people to buy from amazon if you were planning to shop for more other products there since it is more convenient. I hope the customer reviews, the effects and everything I’ve tackled here has helped shed light on what you wanted to know. If you have any questions about PQQ or want help with nootropics, always feel free to leave a comment below and I will be more than happy to help you out.